Superparamagnetic iron oxide nanoparticles (SPIOn) are widely used as a contrast agent for cell labeling. Macrophages are the first line of defense of organisms in contact with nanoparticles after their administration. In this study we investigated the effect of silica-coated nanoparticles (γ-Fe2O3–SiO2) with or without modification by an ascorbic acid (γ-Fe2O3–SiO2-ASA), which is meant to act as an antioxidative agent on rat peritoneal macrophages. Both types of nanoparticles were phagocytosed by macrophages in large amounts as confirmed by transmission electron microscopy and Prusian blue staining, however they did not substantially affect the viability of exposed cells in monitored intervals. We further explored cytotoxic effects related to oxidative stress, which is frequently documented in cells exposed to nanoparticles. Our analysis of double strand breaks (DSBs) marker γH2AX showed an increased number of DSBs in cells treated with nanoparticles. Nanoparticle exposure further revealed only slight changes in the expression of genes involved in oxidative stress response. Lipid peroxidation, another marker of oxidative stress, was not significantly affirmed after nanoparticle exposure. 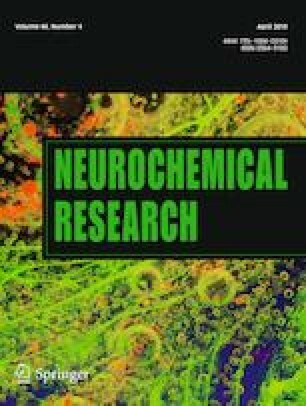 Our data indicate that the effect of both types of nanoparticles on cell viability, or biomolecules such as DNA or lipids, was similar; however the presence of ascorbic acid, either bound to the nanoparticles or added to the cultivation medium, worsened the negative effect of nanoparticles in various tests performed. The attachment of ascorbic acid on the surface of nanoparticles did not have a protective effect against induced cytotoxicity, as expected. Special issue in honor of Prof. Eva Sykova. This study was supported by the Project InterAction LTAUSA 17120, by the Czech Science Foundation [Grant Number 16-14631S and 17-04918S], from Operational Programme Research, Development and Education in the framework of the Project “Center of Reconstructive Neuroscience”, Registration number CZ.02.1.01/0.0./0.0/15_003/0000419 and from National Sustainability Program I LO1309. K.J., M.M., D.H. and P.J. were members of the BIOCEV (CZ.1.05/1.1.00/02.0109) and their work was supported by the Ministry of Education, Youth and Sports of CR within the LQ1604 National Sustainability Program II (Project BIOCEV-FAR). The authors thank Dr. Lucie Svobodová and Petra Veselá for technical support.